We have had the Classical Buskers join us at the Arthur Davison Family Concerts on a number of occasions now, and their performances have always been particularly well received. Their involvement has included playing a pair of clogs (and many other weird and wonderful instruments), explaining how recorders work, as well as performing Wagner on an accordion. This is all done with the usual rivalry between them and a lot of humour! Here they are in action at a concert which was first played in the Family Concert series last year; we hope you enjoy this taster of the family concerts. We are pleased to be able to announce the finalised programmes for this season's family concerts. As usual we have a mix of well-known and lesser-known classical music, but all will be delivered with the same level of fun and education for both children and adults. All the fun of the Last Night of the Proms - but in miniature - with a patriotic finale of Proms' favourites. The Man who Invented Music is a charming introduction to the instruments of the orchestra, with a programme that features Beethoven's 5th Symphony, Mussorgsky's Night on a Bare Mountain, Barber's Adagio and Rachmaninov 's dramatic 1st Piano Concerto. A special musical version of Hans Christian Anderson's Snow Queen is the highlight of this Christmas cracker of a concert which features seasonal favourites by Strauss, Rimsky-Korsakov and Offenbach. Besides a lively Sleigh Ride for Santa, a Christmas Feather Dance and audience carols there is also a presentation by some outstanding young prodigies from the Yehudi Menuhin School. Magical toys, spinning tops, beautiful dolls and a dramatic game of chess are all included in this lively concert of Toy Stories. Tchaikovsky's Nutcracker and Delibes Coppelia are also featured in this programme in which you can try and discover the magic of the Secret Toy Shop. An exciting programme of magical myths and legends which culminates in the dramatic story of The Firebird and music from the Oscar winning film trilogy - Lord of the Rings. Other musical myths include Ravel's beautiful description of Beauty and the Beast, Wagner's overture to the Flying Dutchman and Saint-Saens riotous Bacchanale. 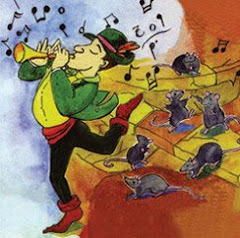 Travel back in time to the Medieval era with the haunting story of the Pied Piper of Hamelin and the Dragonsfire Medieval Group who will be dressed in period costume. The concert also includes Handel's Water Music, Pachelbel's Canon, Warlock's Sword Dance as well as music by Mozart and Schubert.